The first reference in the records concerning the churchyard of St John's church was in 1407 when John Ganvill, the Rector, mentioned in his will "the path in front of the Lord's Cross standing in the churchyard as one goes from the Church to the town". The reference to the Lord's Cross probably refers to the fifteenth century carved cross head which was found in the Chantry of St John's church and now resides in the Church of the Holy Ghost in Higher Kingston. 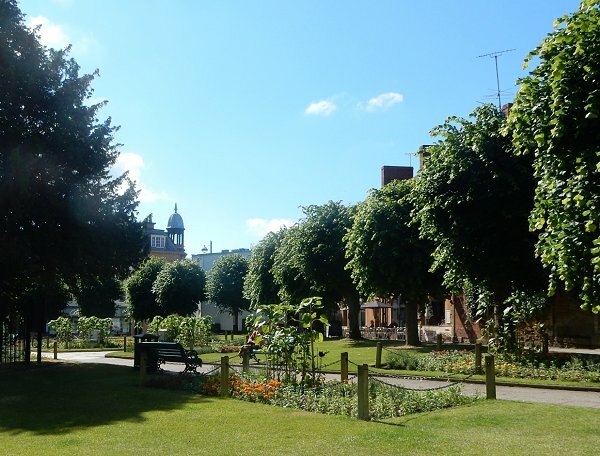 In the sixteenth century John Walle wished to be buried "within the churchyard of St John the Baptist on the right side of the broad alley before the great yew tree". As the population of the town slowly increased so space in the churchyard was at a premium and as new graves were dug earlier graves were frequently disturbed and the bones from these were placed in the church's crypt, known as the charnel house. The churchwardens accounts recorded a payment of sixpence in 1572 for "one day's work for burying of the skulls and bones that were in the charnel house". As the town grew, the problem only became worse. In 1825 the Vestry investigated the possibility of digging catacombs on the side of the church yard facing Silver Street. This idea was abandoned and instead the churchyard was extended by buying a piece of ground between Church Terrace on the east, North Lane to the north and the present North Lane car park to the west. This land was purchased from Peter Daniell for £525, the money being lent to the churchwardens by Thomas Dampier of Kingston Manor. Further space was gained in the churchyard in 1854 when the Chantry was pulled down and rebuilt in its present position in Church Path. In 1852 in his Report to the General Board of Health concerning, among other items, Yeovil's burial sites, Thomas Rammell wrote the following concerning burials in St John's churchyard which I include here almost in its entirety as it gives a fascinating insight into Yeovil's primary 19th century burial ground. The parish church is situated near the centre of the town, and the burial ground surrounds it on the north, east, and south; the west side is chiefly occupied by the entrance into the grammar school. The ground is placed on a high level with respect to the town generally, and is considerably above the adjacent streets on the north and east sides. The extent of the churchyard is 1 acre 1 rood 20 perches, including the site of the church. It is very much occupied with graves, particularly on the south and east sides, which having been ancient ground, is preferred by the inhabitants. The churchyard was enlarged about 20 years ago, as an expense of about £500. The number of burials in the 7 years 1845-52 was 966, being an increase of 138 yearly. John Watts, who had been Sexton for the last 30 years, states "The ground is yellow earth for about 4 feet down, when a sort of gravel or soft stone is arrived at. It is everywhere dry; I never saw water in a grave. I go 10 feet deep with some graves, with some 8 feet and some we do not take more than 6 feet. We do not often put more than one body in a grave; and when we do, the gravies dug an extra depth on purpose.... There is no map of the ground. I know most of the places well. I keep an iron rod for feeling where there is room, and sometimes have to try several places before fixing upon the spot. Sometimes, but very seldom, in making new graves, I come against an old coffin." Burials within the church take place very seldom. The last was two years ago. 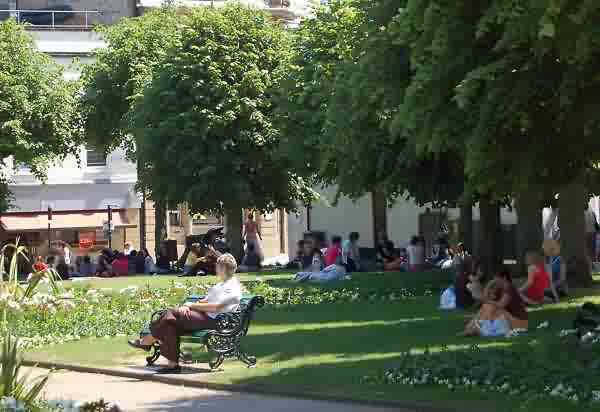 Dr Tomkins says "I consider that the state of the churchyard is, most unquestionably, prejudicial to the health of the town. My attention was more particularly called to it by the existence of a fever in Vicarage Street, Silver Street, etc. two years ago. There were as many as 9 or 10 cases in one or two houses in vicarage Street at that time. Three fatal cases occurred in one house, and two in another. I found previous to the outbreak of that fever that the wind, occasioned by a moist atmosphere, had been blowing over the churchyard towards Vicarage Street for weeks; and animal decomposition is apt, under such circumstances, to produce very injurious effects. I entertain not the slightest doubt that the churchyard contributed to the production of that fever. The churchyard is extremely overcrowded, more particularly on the south side. The soil had risen to such a height about sixteen years ago, that many feet of it were removed. It is on a very high ground, as regards Vicarage Street and Silver Street. There is a public well immediately under the wall; there is a prejudice against the water, well or ill founded I cannot say." Mr Coles said "With respect to the malignant fever which broke out in Vicarage Street and Silver Street two years ago, it is very possible in my opinion that it might have originated from the noxious effluvia emanating from the churchyard. They were malignant cases, certainly. I should say that the churchyard was more probable cause than some open drains at the back of the houses in Vicarage Street, although they were some of the worst in the town." 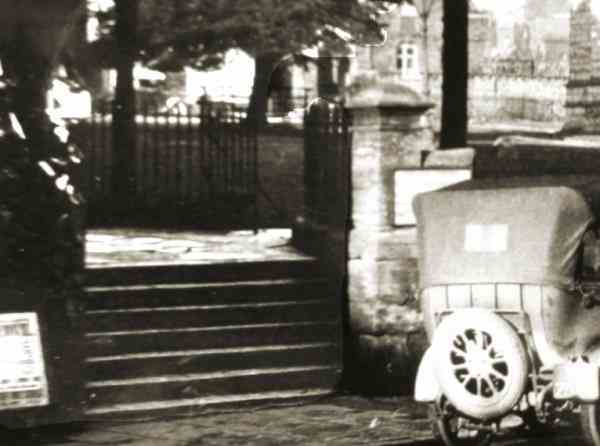 A 1920s photograph of the wrought iron gates and railings at the Silver Street end of Church Street. The railings were removed for the war effort in the 1940s. 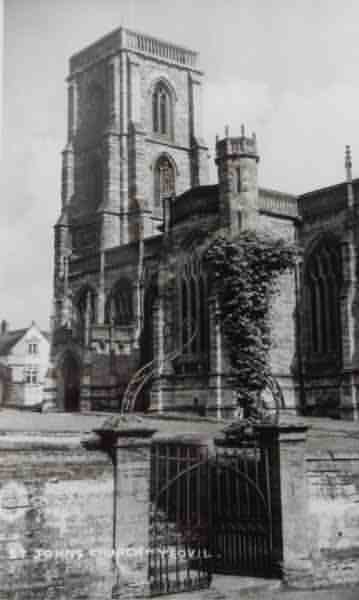 A late 1950s photograph of St John's church with its wrought iron gates by HA 'Jack' Cooper. 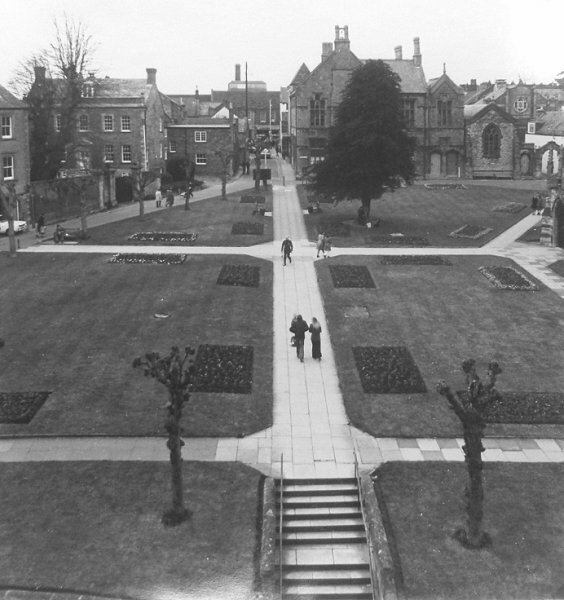 St John's churchyard photographed in the mid-1960s. Church Street is at centre and runs off to bottom left while Church path runs from centre to right, past St John's schoolrooms and the Chantry. St John's churchyard, south side, photographed in the 1970s. 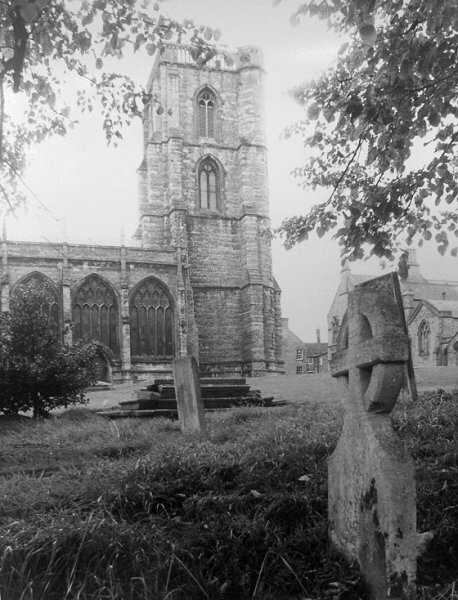 St John's churchyard, north side, photographed in the 1970s. St John's churchyard - known locally as 'the Beach' - photographed in 2015. This photograph features in my book 'Now That's What I Call Yeovil'.